The ironic thing about self-awareness is that it’s bound up in other people. It’s less about how we understand ourselves than about how we use the perceptions of others to train us to modulate our behavior and tame our impulses. 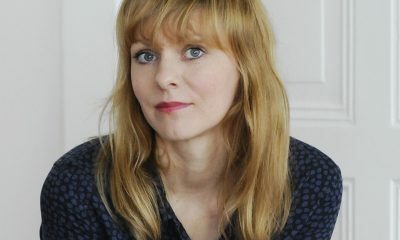 Now three films into an entirely distinctive oeuvre, Maren Ade has become one of cinema’s great sociologists, exploring different shades of self-knowledge and companionship. Her debut, The Forest for the Trees, was about a teacher so desperately lonely that her attempts to make friends only frightened and alienated, while her lacerating Everyone Else chronicled the dissolution of a romance after its young couple realize they’re no longer capable of surprising one another. 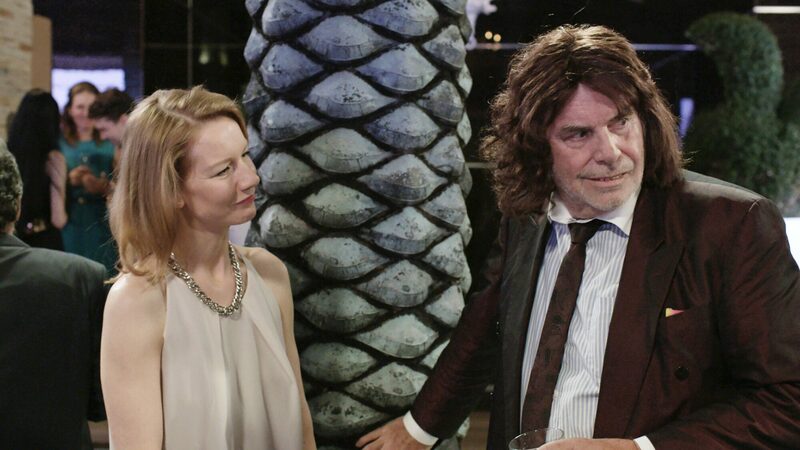 Toni Erdmann is a broader affair, asking what our families are to make of the guises we adopt when we’re trying to succeed, fit in, or achieve some mythical state of self-actualization. More ambitiously, the film is about whether it’s even possible for one to be happy and fulfilled while locked in a demeaning, time-sucking embrace with global capitalism. Ines Conradi (Sandra Hüller) is fluent in the language and style of the consultant class, as her wardrobe is sleek yet conservative and anonymous. Her sentences slip effortlessly from German to English and are littered with observations about “concepts,” “clients,” and “performance”; they scan like mind-numbing bureaucratese, but have ramifications that may impact countless wage-earners. On a trip home for her current post in Bucharest, consulting for an oil company, she has a brief reunion with her father, Winfried (Peter Simonischek). He has a blood pressure monitor strapped to his chest and detachable reading glasses dangling from his neck; he’s temporarily removed a set of fake teeth, but his face is still smeared with Gene Simmons makeup. “Am I supposed to get this?” Ines asks of his getup. Winfried, a merry prankster and a divorcee approaching retirement age, can account for his eccentricities, but he can’t get past the chill in his daughter’s greeting. The death of his beloved dog, Willi, compels Winfried to burnish the one major attachment he has left, and the slouchy patriarch elects to drop in on his overworked daughter, unannounced, for a weekend near her birthday. He shows up to Ines’s office lobby in one of his array of stock disguises; she recognizes him immediately, but as she’s loathe to be embarrassed around her male co-workers, Ines walks right by her father. The weekend continues apace: Winfried makes alternately earnest and goofy attempts to regain some intimacy with Ines; she merely manages him while suffering professional humiliations of her own. Both end the visit unhappy. For about an hour, Toni Erdmann is a queasy comedy of estrangement, laced with easy digs at the finance class and the folly of work-life balance. Its wry physical comedy and professional striving echoes the themes and hijinks of 1990s comedies. Individual scenes are staged to recall the likes of Mrs. Doubtfire and Liar Liar, but it’s Ade’s depiction of corporate homogeneity that feels too familiar for a while, defined by picky eaters, social snobs, business card-swapping networkers, and ugly-chic poolside bars. At one point, Ines looks out her office window and down on European expansion and its few holdouts: a small lot populated by a shanty house and children in vibrant clothing. It’s an uncharacteristically blunt image in a film that otherwise builds to its messages with surgical precision. It isn’t until Winfried decides to drop in for another make-up visit in the guise of the business-class professional “life coach” Toni Erdmann, looking like a disheveled caveman lawyer with a set of Jerry Lewis dentures, that Ade’s film begins to make its professional and political concerns personal. Toni Erdmann’s second half is exquisitely calibrated, with Ade dismantling the story’s themes of corporate greed, sexism, and familial estrangement until the film gradually approaches the sublime. Rather than advancing her characters through plot, the filmmaker inserts them into a series of increasingly nervy, extended comic sequences. Ines, cognizant that an ambitious woman has no time for personal pleasure, turns a fling with a co-worker, Tim (Trystan Pütter), into an act of sexual gamesmanship that would make her gag-obsessed father blush. Toni/Winfried, eager to coax his daughter out of her existential torpor, ushers the couple unbidden into a Bulgarian Orthodox Easter celebration, claiming that his daughter is actually his “personal assistant,” Whitney Schnuck. Winfried intends to embarrass his daughter into authenticity, but he has no idea what he’s getting into. Ines seizes the moment, turning an impromptu musical performance into a giddily complex unburdening, as a love song becomes both a piercing ballad of self-reliance and a thorny indictment of millennial entitlement. This galvanizing set piece begins hurtles Ines toward a new brand of self-actualization. She sheds blood, tears, clothes, and skins in the process of reclaiming her persona. Winfried, meanwhile, changes his clothes one final time, transforming a Buñuelian birthday celebration into a dreamily ambiguous ceremony, at once funny, beautiful, and haunted by the specter of death, an unexpected but appropriate gesture for a film about the toll our jobs take on our health and happiness. The hapless patriarch, having witnessed not only the dizzying inequities of global capitalism, but his daughter’s mastery of same, leaves Ines with a gesture that simultaneously exposes and spans the gap between their generations. By its end, Toni Erdmann is a work of laser-guided social critique and a comedy that is, like most families, both unsentimental and uncommonly large-hearted.